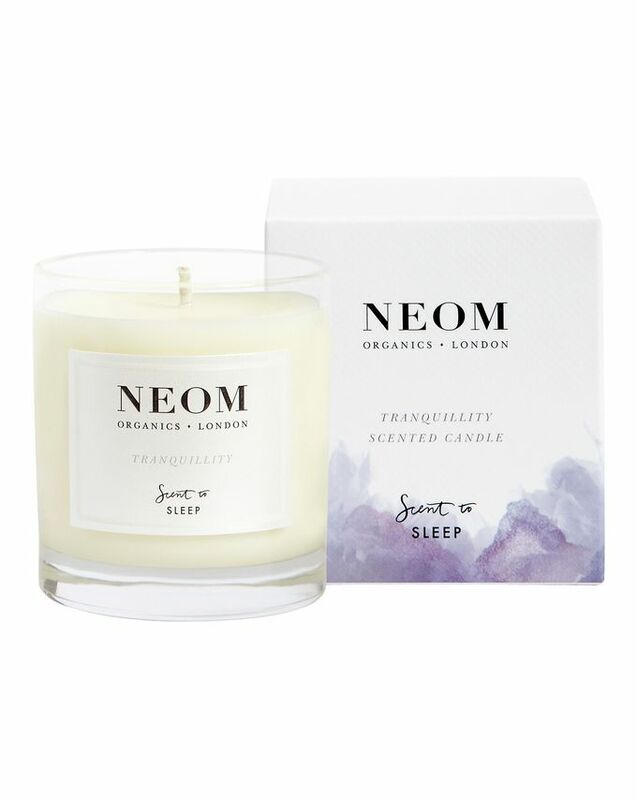 The perfect accompaniment to your end-of-day ‘switch off’ ritual, NEOM’s Tranquility Candle stars a sedative blend of 12 pure essential oils to help ease you towards a deep and restorative slumber. With English lavender (a slightly cleaner version of its floral French cousin), alongside sweet basil and jasmine, this smells refreshing yet calming – the perfect aromatic accompaniment to your post-work bath, or bedtime bookworm session. 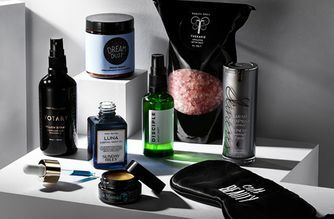 The small-but-mighty travel size is perfect for little rooms and makes a wonderful ‘thank you’ gift, while the three wick version will fill even the most cavernous spaces with its reassuring, snooze-inducing fragrance. 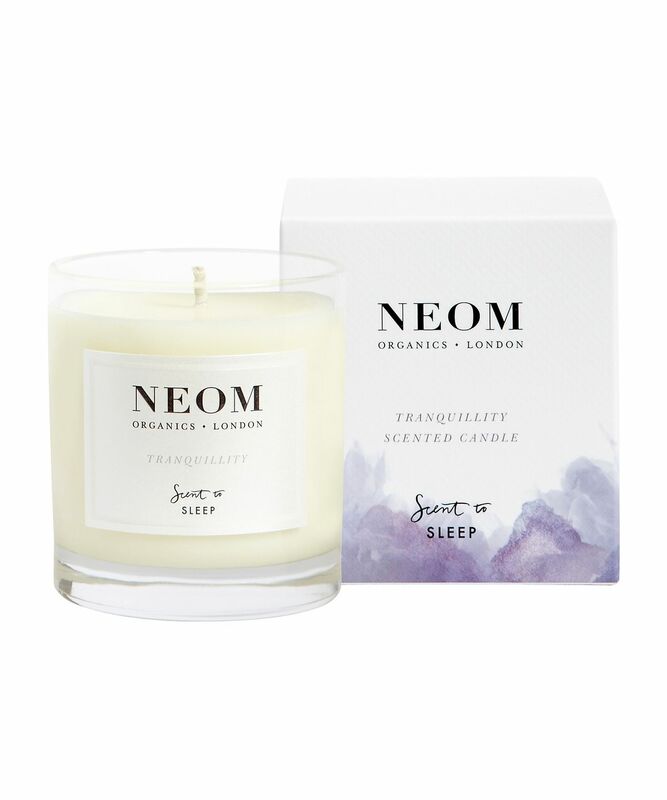 NEOM's scent-sational candles will brighten your rooms and your outlook with their specialist aromatherapeutic blends. 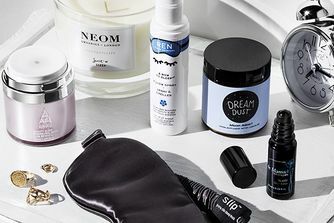 A world apart from so many other (lesser) candles – which are often made using paraffin wax and synthetic fragrances – NEOM candles suspend only the highest quality essential oils in 100% vegetable wax, so the only chemicals released are the happiness hormones induced by these exquisite fragrances. The three wick candle has a burn time of up to 50 hours, the single wick candle burns for up to 35 hours and the travel candle provides up to 20 hours of soul-soothing, aromatic gorgeousness. Light the wick of the candle on a flat surface, away from anything flammable and relax while it burns for up to 50 hours (the mini travel version has a burn time of up to 20 hours). TOP TIP: The first time you light any candle make sure you allow it to burn uninterrupted for 2 hours, that way the candle will then burn evenly to the base rather than just a small dent through the middle of the wax. Pure essential oils of lavender, sweet basil and jasmine. 100% pure vegetable wax.